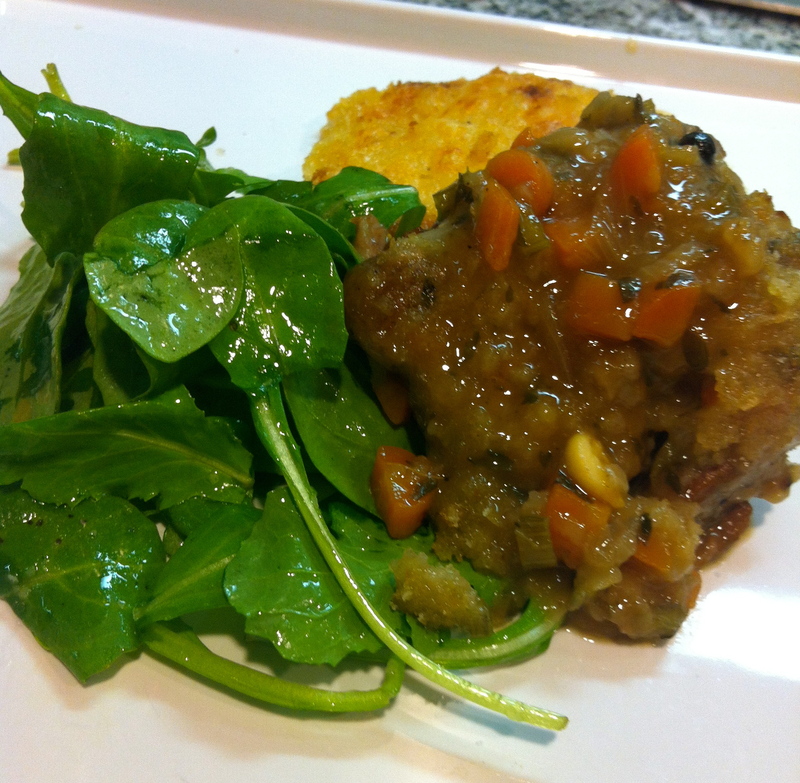 I took a modern twist on this classic braised veal cheek recipe. The Sous-Vide really transformed the meat making it extremely decadent and it also had a texture like no other. Truly melted in your mouth. Great with a side salad of mâche or baby arugala with lemon juice & olive oil and some potato gratin. Dust patted dry veal cheeks in flour, set aside. Season with salt and pepper. Heat pan with butter and sear cheeks until golden brown, about 1.5 minutes each side. Remove and set aside, reserving fat in pan. Add olive oil and sweat onions, when translucent, add carrots and celery. Add thyme and bay leaf. Cook on med flame until vegetables are tender. Add wine and deglaze. Add stock and bring mixture to boil. reduce by 1/3. Place veal cheeks into sous vide bag, fill with vegetable broth mixture and vacuum seal, taking care not to let liquid spill into the insides of the vacuum. (or use water displacement method to vacuum in ziplock bag.) Sous-Vide bag for 7-9 hours (overnight). Remove and cool pouch in ice water to room temperature if serving immediately, if not cool to fridge. Tear open pouch, remove room temperature contents into a bowl. If sauce seems too runny as it likely will be, reduce sauce only on stove until thick consistency is reached. Roux may be added if desired. Place cheeks in pan to heat through. Serve! Only one to one and a half cheeks per person. This dish is richer than braised short ribs!